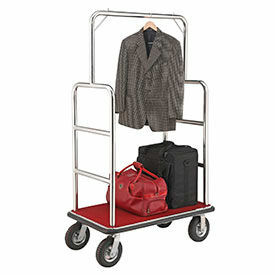 Stainless Steel Luggage Cart Provides An Attractive Appearance For Hotels While Maintaining Strength & Durability. Your review: Great quality and fast delivery lands this item 5 stars. 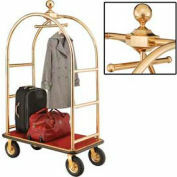 This cart will impress everyone with it's professional look. Somewhat wide for our small spaces, but we can work around it. 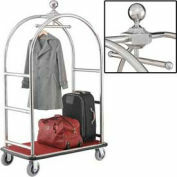 It is great quality and I believe we will get many years of service out it. Thank You Global for awesome products.